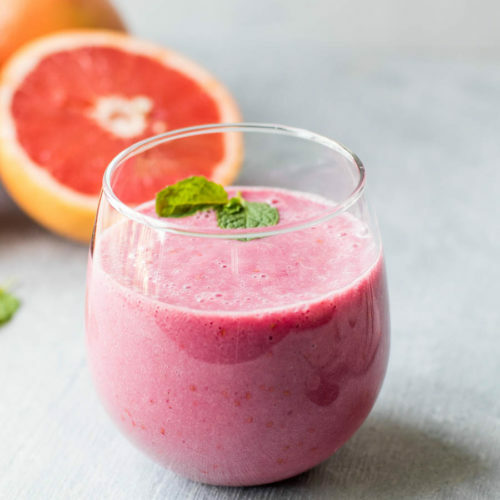 This Grapefruit Berry Smoothie is a refreshing winter smoothie. It's the perfect way to use up extra grapefruit and transition from winter to spring! Add all ingredients to a blender. Puree until smooth. Serve immediately. NOTE: The coconut milk here is the one in the refrigerator case not the canned one in the ethnic food aisle. There's a huge difference!